Come to the meeting today and find out what has gone on with the Giro Bello and how you can help with The Pillow Fights! President Mark opened the meeting. 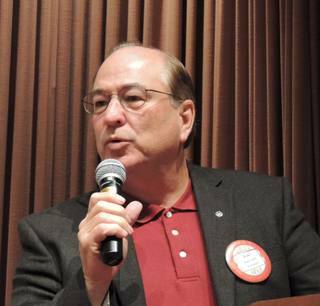 The Pledge was led by Past District Governor Norm Owen. 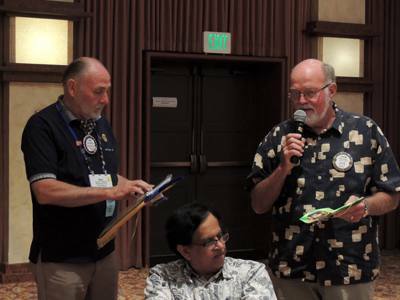 Prior to introductions of guests, Past President Rich de Lambert asked for the Sergeant at Arms to fine Prez Mark for going over his allotted time last week which shortened the program, a $10 fine was levied. There were 3 other guests. Ganeran Simiaim from SRJC was introduced by Steve Olson. Mychael Wilson joined us and was introduced by Debi Zaft. Also introduced was Jeannie Alderson who was our speaker for today’s program. Steve Olson wins the jackpot! The Raffle was $41 today and the “winner, winner chicken dinner” was Steve Olson! Robbie Fouts shared some of the history of his company, Hitmen Termite and Pest Control, Inc. 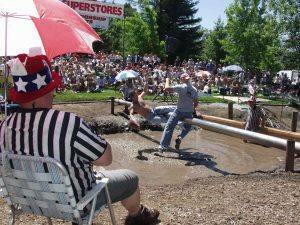 It was founded in 1979 by him and three others in Calistoga and now serves the greater North Bay area. Robbie has more miles of crawling under houses than he can add up. President Mark thanked all who filled out the surveys last week concerning the food service at the Flamingo. Cathy Vicini met with management and shared some of the suggestions and felt that we were heard and that an extra effort to provide us with good meals and service would happen. Cathy noted that they had already made some changes that were evident at today’s meeting, such as labeling the salad dressings. New member Bart Eddy presented his craft talk. A native of Kansas City, Bart moved to Novato in 1969 after graduating from High School and then attended Sonoma State where he earned his BA and started a career in retail management with the Ross Stores. He married his wife of 36 years shortly thereafter and then moved on the work as a store manager for the Gap from 1978-1982. He went into outside sales in 1982 and after stints with a couple of companies he founded North Bay Publishing Solutions in 2004. He and his wife are proud parents of 3 grown sons and their dog Lily. Welcome aboard Bart! 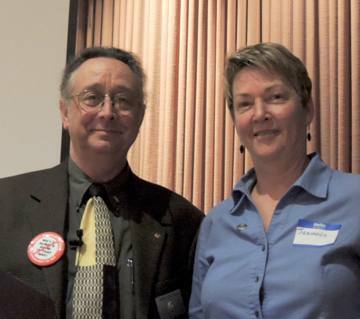 Laura is a former Rotarian in Oakland & Burlingame. 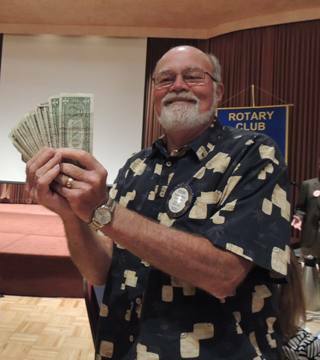 The Rotary Magazine question was answered correctly by Don McMillan. He will have his name in the end of year raffle and received a Rotary Dollar from the prez. Also winning Rotary dollars was Blaine Goodwin for having a silver dollar and Don McMillan for having a 2 dollar bill. Steve Olson and Sam McMillan shared some of their adventures from their recent trip to the Rotary International Convention in Sydney as well as their side trip to New Zealand. They returned with a number of Rotary flags from other clubs as well a gift of two bottles of wine for a the President who will be auctioning all the gifts he receives during his year at the end of his term. There are Giro Bello t-shirts for $5 and Giro Bello jerseys for $55. They will be on sale in the back of the room for the next few weeks. All proceeds go directly to the Giro Bello bottom line. Kris Anderson announced the need for more meeting photographers and to see her if you are interested. Jack Abercrombie reminded us to get any changes for the roster to him ASAP. Today’s program was presented by Jeannie Alderson. Jeannie works for a local solar company and shared what advantages there are in installing solar for your home, business or a non-profit today. Currently there is a 30% federal tax incentive to purchase a solar system and that will be reduced to 10% at the end of 2016. A popular program for non-profit organizations is a power purchase agreement that involves a 3rd party investing in the system so there are no out of pocket costs to the non-profit (schools, churches etc). Since the non-profit does not benefit from tax credit this makes it a potential profitable investment for the investor and a win for the non-profit reducing cost of the utility. A Q &A session followed. The meeting was adjourned by President Mark at 1:30pm.